Before setting off on our travels, we decided on a set of goals to achieve as we traverse the globe. 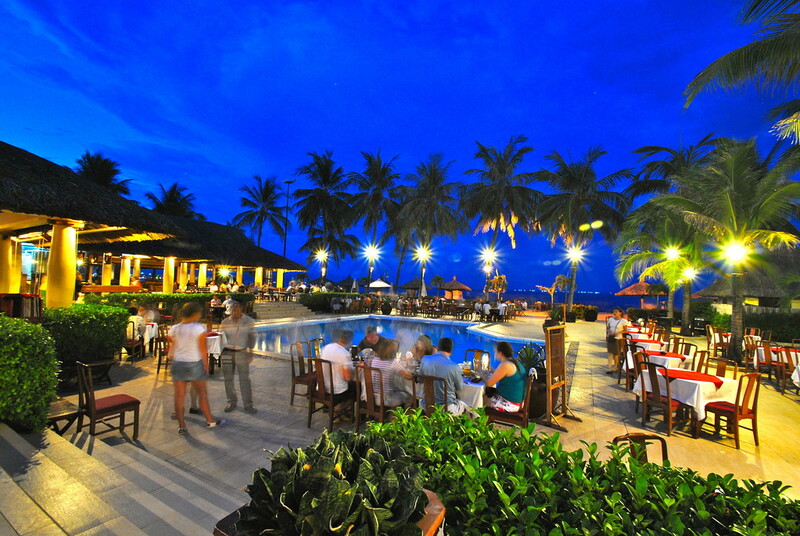 The usual things cropped up: sample the local delicacies, visit world famous sites, have a massage as often as possible. An obscure goal I have set myself is to sample as many different beers as possible. I’m not much of a beach fan. My pasty white skin, coupled with the glare of the sun and sea and the sandy nature of beaches puts me right off. So we settled into our sun beds by the brewhouse pool, grabbed our books and set about relaxing! 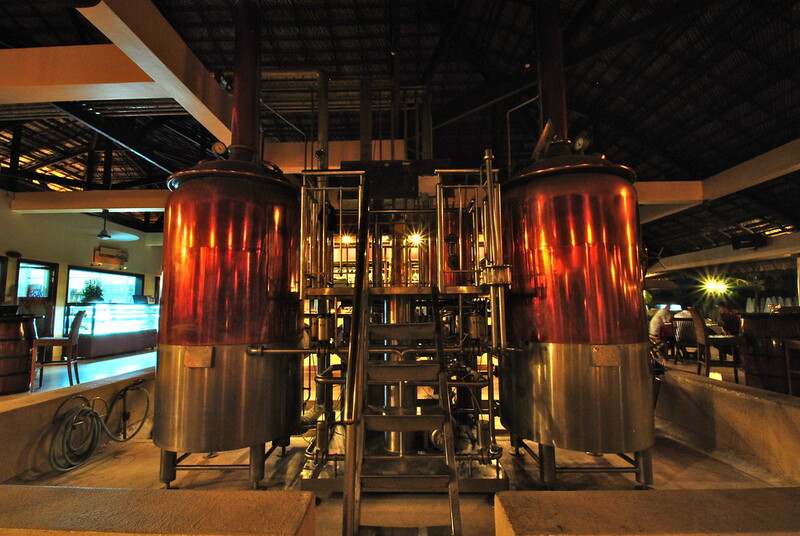 Happily settled in our sun beds for the day, I took a look at what the brewhouse had to offer. 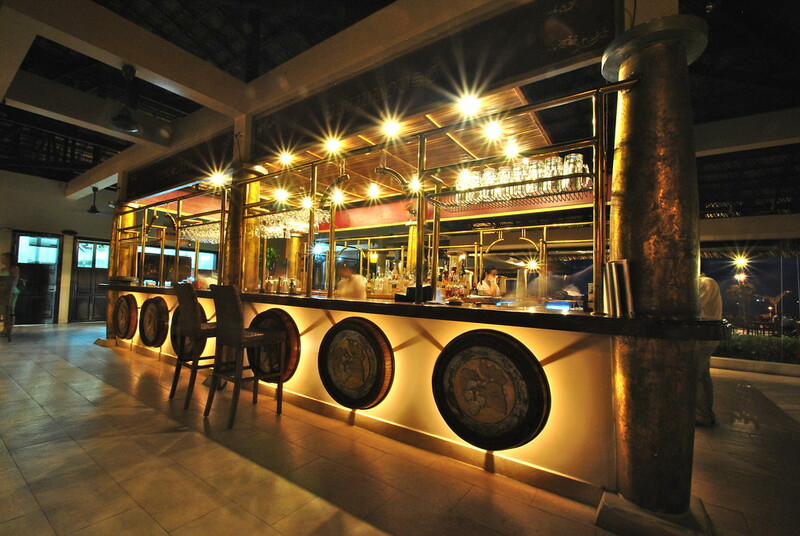 Imagine my face as I read the delicious descriptions of the five different speciality brews they brewed on the premises, from pilsner to a dark brew and even a passion fruit beer, which Laura got very excited about. But which one to choose? I was stressed, they all sounded amazing. How could I possibly decide? Never fear, the brewhouse had thought it all out for me. 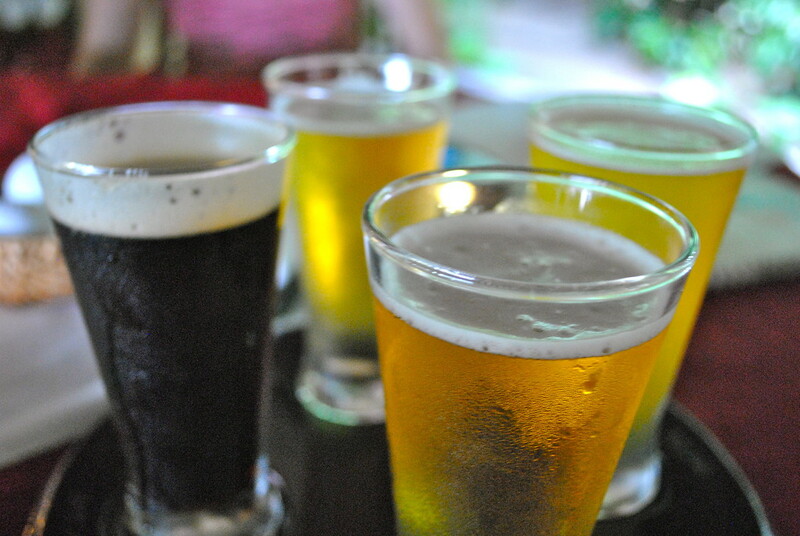 Instead of getting one beer, we ordered a tasting platter of four beers (200 ml each) to sample the options. Lounging on my sunbed, I was in heaven. 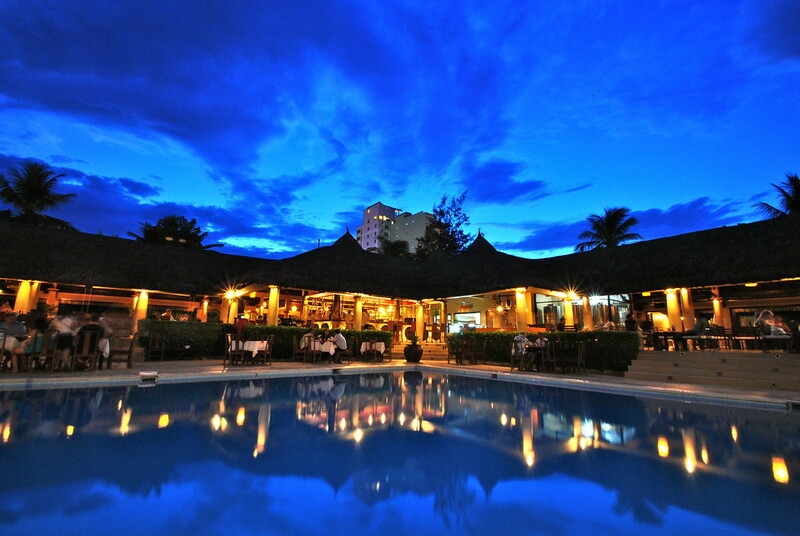 We spent the day chilling by the pool, reading, sleeping and sipping our taster platter. 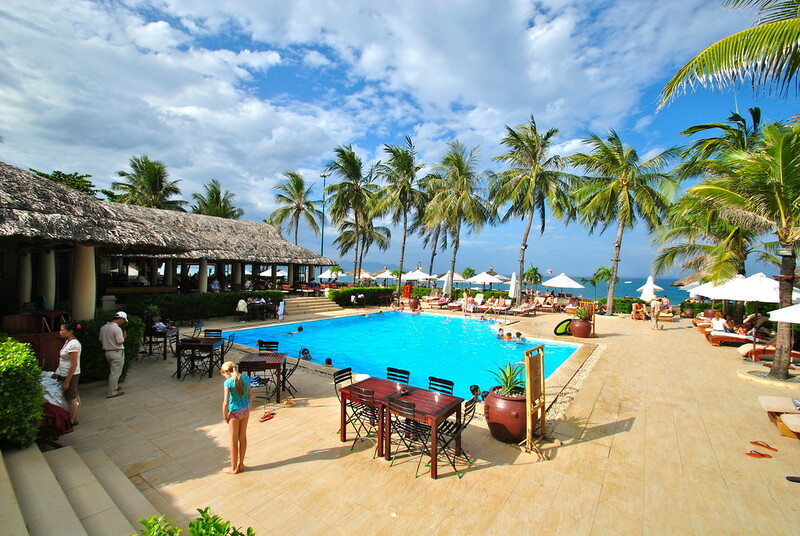 Late into the afternoon, the pool area changes from its sun worshipping haven to a chilled out restaurant by the pool. We ventured into the restaurant to see what was on the menu for dinner. After all, drinking those beers is tiring work! 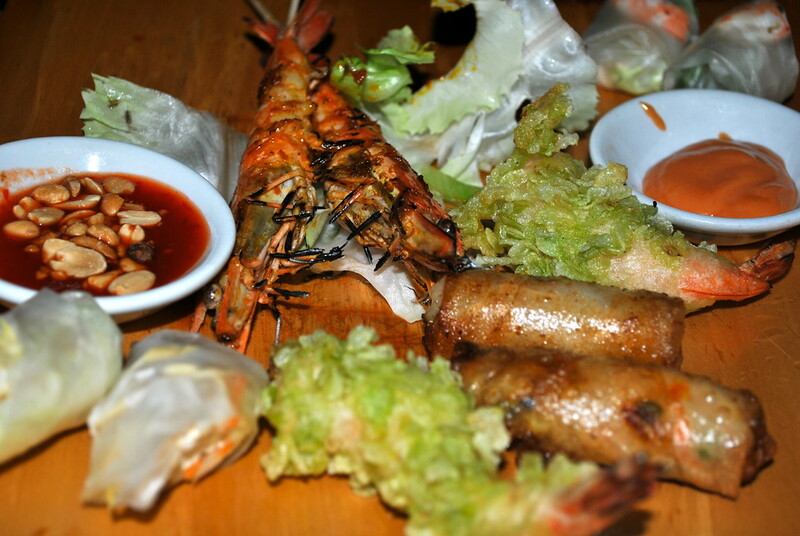 There’s a great selection of food on offer, with local options and international favourites to satisfy all cravings. We decided on a shared starter followed by beef stew (Barry) and ribs (Laura), and of course another beer tasting platter! Nha Trang came at a great time for us, we’d been Sapa trekking and sailing Halong Bay the previous week, so it was good to chill out and relax. 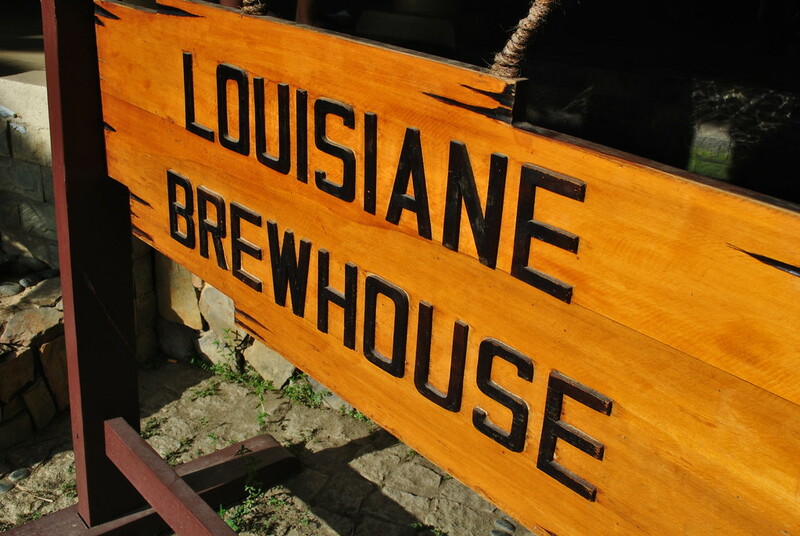 We’d highly recommend a visit to the Louisiane Brewhouse!